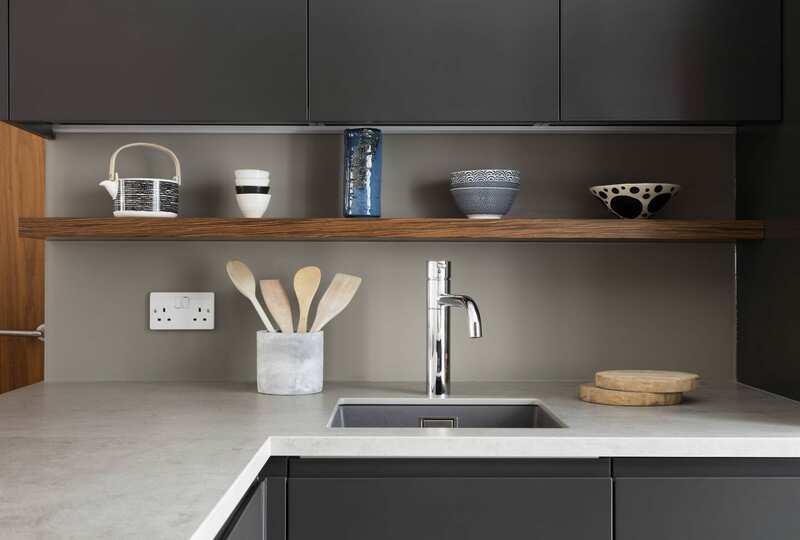 An innovative approach was needed to transform this compact kitchen into an open-plan area with ample storage. To achieve this, we created a design that maximised space, with a very narrow pull out instead of infill panel, while still creating a contemporary look that our clients would love. 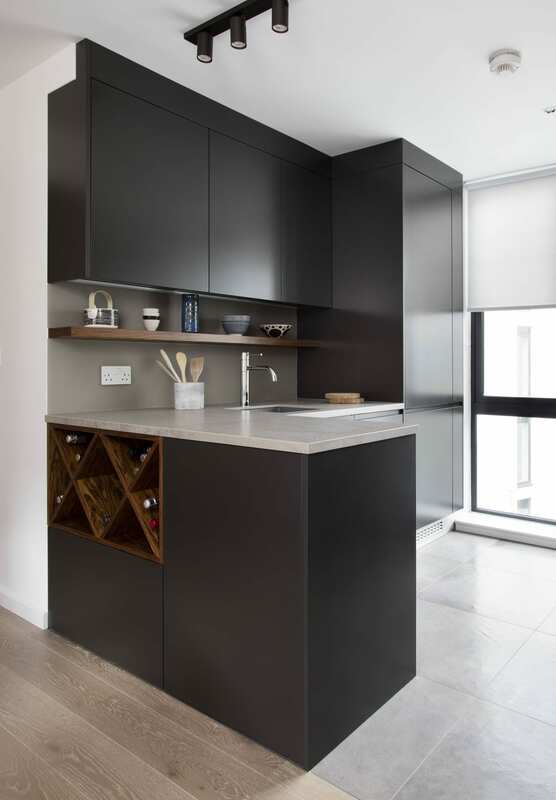 We created integrated drawers within the stainless-steel plinths. 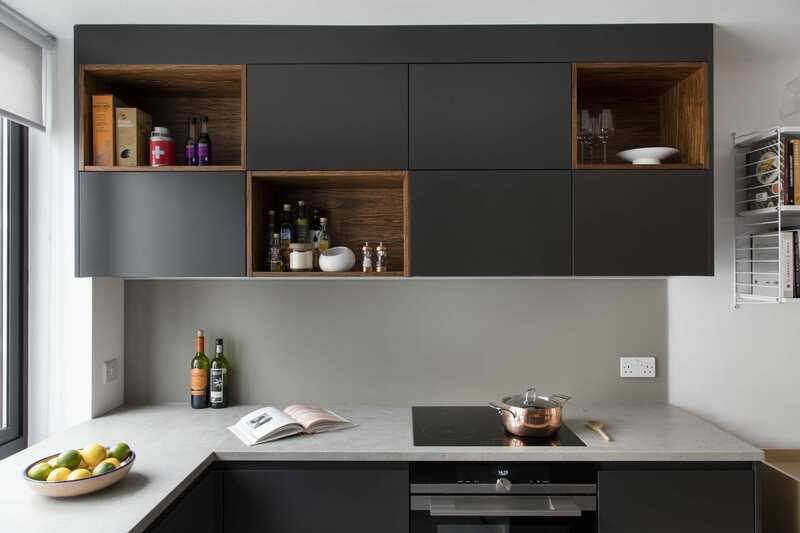 The dark Palisander wood veneer contrasts against the anthracite cabinets, offering warmth to the space.